Enter your dates to pick from 403 hotels and other places to stay! Featuring a terrace, a shared lounge as well as a bar, Honey Land Hotel Lalibela is located in Lalibela, an 8-minute walk from Bet Medhane Alem. The hotel made for arangments for us to have an excellent guide for the church .nice hotel with amazing view,very clean rooms and delicious food.and friendly staff. Located in Lalibela, a 14-minute walk from Bet Medhane Alem, Top Twelve Hotel - Lalibela has a number of amenities including a garden, a terrace, a shared lounge and free WiFi. The location of the hotel is just great - on a hill overlooking the surrounding mountains, a short walk from the town centre and from a very good restaurant. The views from the balconies and from the common garden are amazing. The rooms, just as the whole building, are nicely decorated, with local motives. Staff was very attentive and kind. It was the nicest hotel we stayed at during our Ethiopia trip! 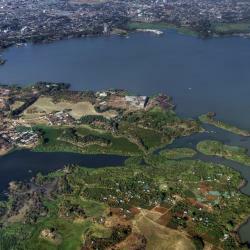 Located in Bahir Dar, Wynn Hotel - Bahir Dar offers 3-star accommodations with a shared lounge. This 3-star hotel offers a bar. Free WiFi is available. At the hotel, rooms come with a desk. Very clean rooms. And nice staff. Located in Addis Ababa, The HUB Hotel provides a spa & wellness center and shared lounge. A sauna is available for guests. The property has a business center and free WiFi. THE ROOM WAS VERY COMFORTABLE. THE STAFF WERE VERY POLITE AND HELPFUL. 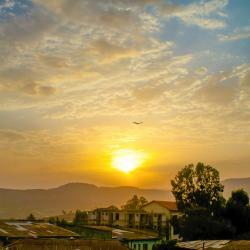 Located in Lalibela, Holidays Hotel Lalibela has free WiFi. Offering a restaurant, the property also features a garden and a terrace. Bet Abba Libanos is a 3-minute walk away. We really enjoyed the traditional fasting injera dish, Beyenet. The hosts offered to give us a cooking class to learn how to make the sauces and the next morning we made injera. Fabulous experience! Located in Addis Ababa, 1.3 miles from Matti Multiplex Theatre, Marcen Addis Hotel provides a fitness center and terrace. With a shared lounge, the property also features a bar. Hotel seems new with room facilities very clean and modern. The location is in the midst of town around Atlas area where one can find all the hang out places. Not much noise in the hotel environs. Restaurant in hotel runs 24hours which was great. Boasting a shared lounge, Mekelle Hotel is located in Mek’elē. The property has a bar, as well as a restaurant serving African cuisine. David, the clerk was helpful. The room is large and is more like a suite. The hot water works. It is clean and modern. WiFi isOK by Ethiopian standards which means it works most of the time. 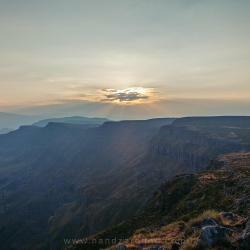 Set in Addis Ababa, 1.2 mi away from Addis Ababa International Airport. Diamond Hotel has a number of amenities including a fitness center and free WiFi. The staff is really kind and helpful. They do the best they can to please every customer's wish. Rooms are very nice and comfortable, we really liked the bathroom, which is separated from the rest of the room by a glass - a nice touch. Moreover, the food was also very tasteful; the buffet breakfast has a very large selection of delicious fruits, vegetables, salty and sweet dishes. 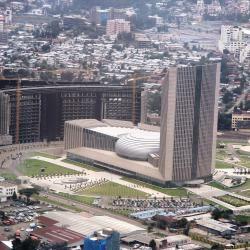 Sabon Hotel is located in Addis Ababa, 1312 feet from Matti Multiplex Theater. The property is around 1312 feet from Edna Mall Addis Ababa and 1.5 mi from Friendship Business Center. The staff was one of the best I've ever seen. Everyone was really helpful and always smiling. The room was enormous and in pristine condition, very comfortable. Location was also great, walking distance to cafe's, restaurants, and malls. Located in Addis Ababa, within 1.1 miles of St George's Cathedral and 1.3 miles of Yekatit 12 Monument, North Addis Hotel provides accommodations with a terrace and free WiFi. very satisfied. new,clean, with good facilities,tv and fridge inside, toilet is big,wifi working,405 room even with a balcony. Set in Addis Ababa, Sapphire Addis features a spa experience, with its spa center, sauna and fitness center. Guests can have a drink at the bar at the property. A gem in a great location! Excellent staff- they were super friendly. I even left my work cell phone after checkout and the staff worked with me to have someone pick it up and shipped back to U.S.! The room was extremely comfortable- beautifuly designed and clean. Good WiFi service as well - overall experience was phenomenal! Located in Hārer, Winta Hotel features a bar. Among the facilities of this property are a restaurant, a 24-hour front desk and room service, along with free WiFi. Daniel , the manager of Winta is the most hospitable and the most friendly host we have ever met, and I don’t mean just in Ethiopia! At each of four evenings in Harar we had dinner in Winta, and every evening we had to urge (!) Daniel to except payments for meals we had eaten and for the beers we had drunk. The same way Daniel treated other guests who stayed in Winta during our stay there. Daniel treats people who stay in Winta not as customers but as his personal guests! Providing free WiFi, Panoramic View Hotel offers accommodations in Lalibela, a 9-minute walk from Bet Medhane Alem and 0.6 miles from Bet Giyorgis. Great staff. Fantastic view. Condusicve and accommodating for foreign visitors. Offering a terrace and views of the mountains, Abyssinia Renaissance Hotel is located in Addis Ababa. The hotel has a spa center and sauna, and guests can enjoy a drink at the bar. I did not have eggs but the first time it was a burger which was a great, the second time it was pasta that was great as well. the bed was very comfortable. when i travel again i plane to use the abyssinia again. Conveniently located across from the Bahir Dar International Stadium, Delano Hotel, Bahir Dar offers free WiFi throughout the hotel and free private parking on site. We had such a wonderful check in experience. Our bags were taken up to our room and the feaurures if our room explained. We had been upgraded to a suite. It was so beautiful. The bed was so comfortable and we rested well. Do not hesitate to book. Such friendly staff and exceptionally clean rooms.